850 Wood Fired Pizza is located down the alley to the right of Fifty Coins in downtown Ridgefield. The interior is very well done with eight wooden booths and four high top tables in the first room and an equal number of seats in the rear room. There are several TVs on the wall, giving the space a pubby, sports bar feel. They did a very good job on decorating. There are also some tables on the front terrace that would be a good location in much warmer weather. There is an interesting array of condiments on the table. In addition to the normal salt, pepper, red pepper flakes, and grated cheese, 850 also serves Tabasco sauce. 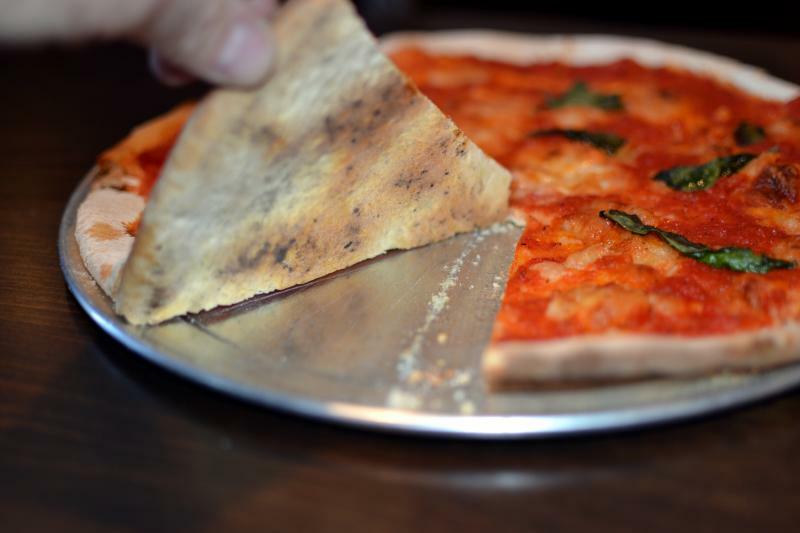 There are four styles of pizza, Wood Fired Red, Wood Fired White, Traditional Oven and Ultra Thin Bar Style. Salads and a few pastas are also available. I ordered a Wood Fired Red Margherita with tomato sauce, fresh mozzarella, fresh basil and olive oil. This pie needs a lot of work. The crust, although thin, was a cracker crust, not Neapolitan (as stated on the web site) in any sense, ultra-crispy and unpliable and very bland. The tomato sauce, on the other hand was overwhelming in flavor. It was more a peppery tomato paste than a pizza sauce. There was some cheese that melted into the background on taste and a few leaves of basil. I did not like the pizza at all. The staff is very young and needs a lot of training. When I asked what the difference was between the “fresh Mozzarella” and the “Mozzarella Cheese” (as stated on the menu) I drew a blank stare. When I paid my $12.50 bill with a twenty-dollar bill she asked if I wanted change. Overall, with a lot of other choices in the area, I think I’ll take a pass on returning until some significant changes occur. 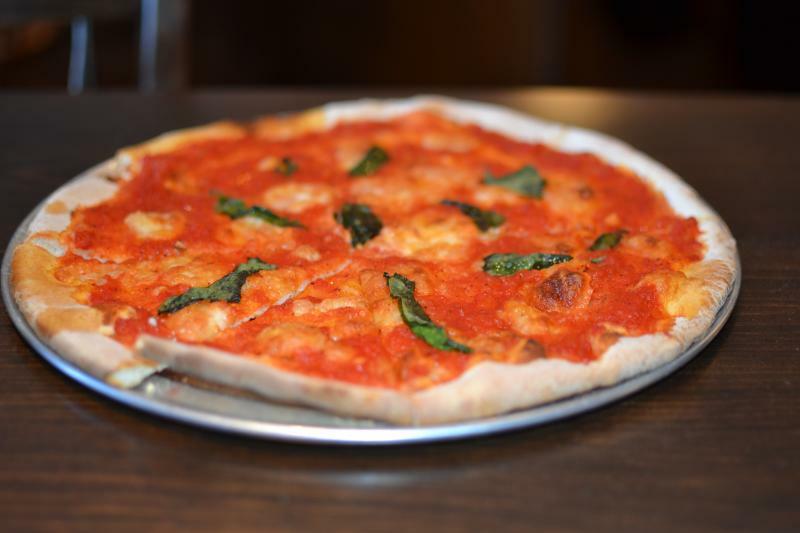 This entry was posted in Ridgefield and tagged Jeff Schlesinger, jfood, pizza by jfoodeats. Bookmark the permalink.